Have you just purchased an amazing TV and can t wait to flick the on switch? But it s still sitting in the box because you re stuck on how to get it on the wall. The company you purchased it from doesn t offer installation, it s too large and too technical for most handymen and it s just not the kind of DIY project you want to take on. Call Atlanta TV Mounting to get it installed today! As well as complimentary appliances such as projectors, speakers or consoles. We can mount TVs for home theaters, conference rooms, gyms, expositions and much more. Indoor or outdoor, large or small, residential or commercial, we ll ensure you get the right mount for a perfect fit. Best of all, as we take pride in our work ugly cables are hidden, TVs fit seamlessly into your wall design, components are fully functional and we even clean up before we leave. 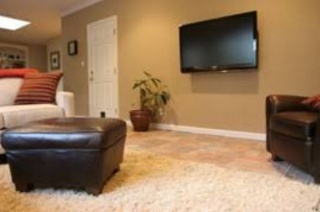 For no risk, no mess TV Mounting in Atlanta at an affordable rate visit: http://AtlantaTVMounting.com now.